When you take Cardio Kickboxing classes at Kick Connection, we’ll whip you into great shape faster than you ever thought possible. In no time at all, you’ll effortlessly lose your unwanted weight and you’ll be sliding into your skinny jeans with room to spare! The Cardio Kickboxing classes at Kick Connection are your best choice for a high-powered, calorie-crushing workout. Beginning with your very first kickboxing class, we’ll show you how to punch away the pounds and kick away the calories to achieve eye-popping results in record time! Unlike any other fitness class you can find, the Cardio Kickboxing classes at Kick Connection will leave you begging for more! That’s because we make fitness fun by combining high-energy martial arts and cardio exercises with the hottest heart-pounding dance music that’ll keep you motivated class after class! YOU’LL GET A KICK OUT OF ALL THE BENEFITS! When you take Kick Connection’s Cardio Kickboxing classes, we guarantee we’ll get you into the best shape of your life. And as our black belt instructors help you achieve a gorgeous, head-turning body, we’ll show you how to keep yourself safe with killer self-defense moves that will bring any attacker to his knees! LOOK AND FEEL LIKE A MILLION—START FOR FREE! Are you ready to reinvent yourself? When you enroll in the Cardio Kickboxing classes at Kick Connection, it’ll be easier than ever, and it won’t cost you a single penny to get started—that’s because we’re giving you your first class for FREE, without obligation! Why would we give you your first class for free? It’s simple. We believe that when you experience the thrill of our Cardio Kickboxing classes, you’ll want to come back for more! But there’s a small catch—you must register for your FREE class this month. 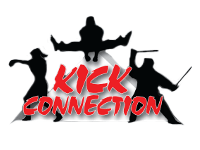 To take advantage of your FREE Cardio Kickboxing class at Kick Connection, all you need to do is take a moment to complete the contact form on this page. When you do, we’ll provide you with all the details you need to lock in your first class for free. So don’t wait...go ahead and claim your FREE Cardio Kickboxing class at Kick Connection! My 5 yr. old could not be happier to be enrolled. Over his short time there, I have seen a dramatic improvement in his behavior, coordination and focus. Thank you Kick Connection! We have just joined but my son loves it , he looks forward to his 2 classes per week, and he gets so exicited to see the new friends too:) It's very professional and fun! I've been a student at Kick Connection for over 10 years. I don't know which I value more, the excellent instruction I have received or the excellent staff members I've met and friendships I have developed.This is an awesome place for all ages. Highly recommended for everyone! !